The emergence of right-wing populist fringe groups in Europe today could well owe its origins to one man — Benito Mussolini, who ruled Italy from 1922 to 1943. Some have dismissed him as a buffoon, but this would be a false and misleading appraisal of the architect of fascism, which plunged continental Europe into darkness. 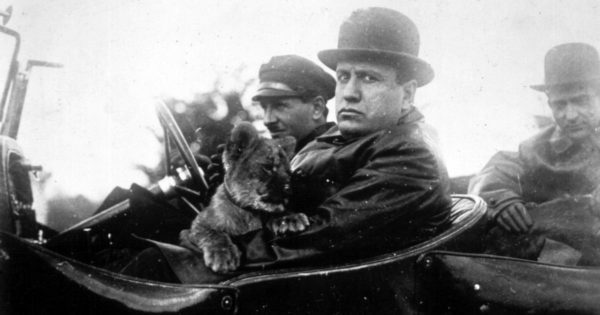 A modern Caesar, he’s the subject of Benito Mussolini, a fast-paced documentary that kicks off The Dictator’s Playbook, a PBS series on populist strongman to be broadcast starting on Wednesday, January 23 at 10 p.m.
Mussolini came out of nowhere, having been the son of an impoverished northern Italian blacksmith born in an era when wealth was concentrated in the hands of a privileged few. A violent child, Mussolini was considered a delinquent after he knifed a fellow student. When he was older, he directed his anger at Italy’s backwardness. Drawn to socialism, he was arrested in 1903, charged with trying to foment revolution. A gifted writer, he used his skills to shape a nation. Appointed editor of Avanti, the organ of the Socialist Party, he soon parted ways with his colleagues after championing the virtues of violence and war to achieve the party’s objectives. Ejected from the party, he founded what would be the mouthpiece of Italian fascism, Il Popolo D’Italia. Fascism extolled nationalism and racial exclusivity and proclaimed the superiority of Italians. To paraphrase a contemporary expression, Mussolini intended to make Italy great again, a modern version of ancient Rome. At 35, Mussolini found his niche in life. His followers were known as Blackshirts. Bolshevism, which had just triumphed in Russia, was Mussolini’s nemesis. He railed against it incessantly at nation-wide rallies. Fearing chaos and instability, industrialists and landowners, two of the pillars of the old order, rallied behind him as fascist thugs beat up socialist leaders and ransacked union halls in bloody rampages. Sensing the moment was right, Mussolini created the Fascist Party and entered parliament. 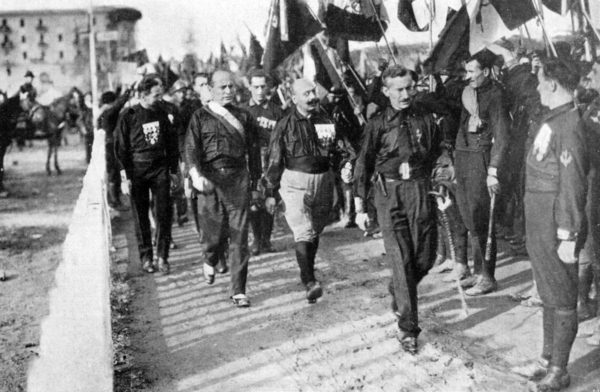 In 1922, 30,000 Blackshirts marched on Rome, demanding his appointment as prime minister. 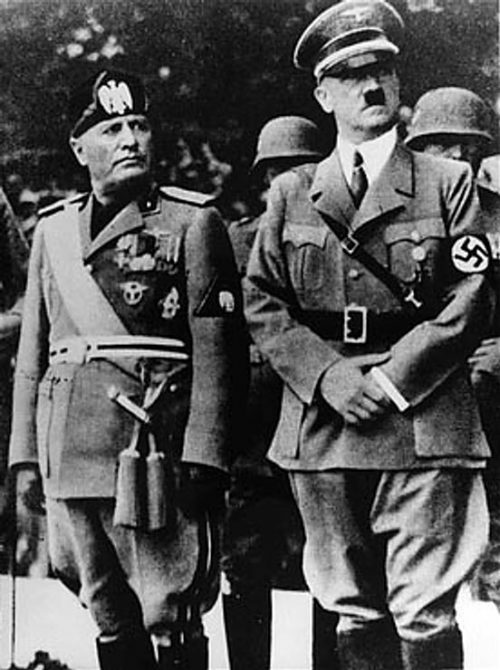 The king hesitated, but finally acceded to Mussolini’s demand. Another turning point in Mussolini’s accession to power was the 1924 general election. Through violence and vote rigging, the fascists won two-thirds of the vote and gained control of the nation. The subsequent assassination of the Socialist Party leader, for which Mussolini took moral responsibility, capped his ascent to the top. These historic events are conveyed in crisp fashion and supplemented by informative commentaries from four historians who specialize in Italian history. 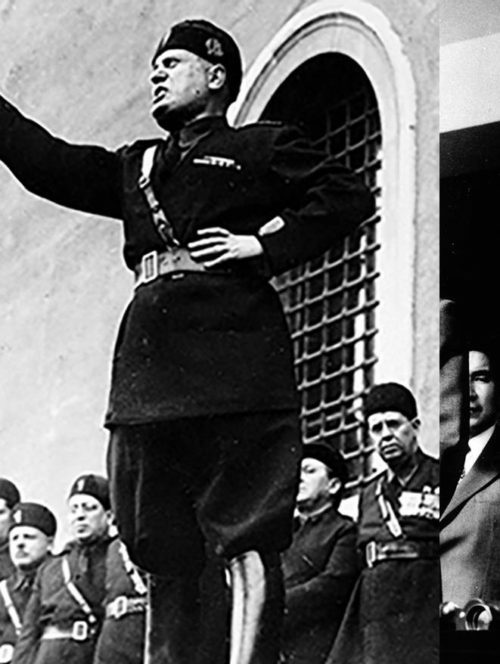 After adopting the nickname of Il Duce, the Latin for leader, he proceeded to gut Italy’s democratic institutions, close opposition newspapers and establish a massive police force loyal to his party. He ruled through intimidation, but launched a public works program that endeared him to many Italians. School texts were rewritten to reflect fascist beliefs and the cult of the personality. A self-styled man of the people, Mussolini was a bombastic orator who used radio broadcasts to connect with his supporters. In neighboring Germany, an up-and-coming fascist politician, Adolf Hitler, borrowed his tactics and was appointed chancellor. With the Italian economy weakening during the Depression, Mussolini distracted the masses through overseas imperial adventures. Amassing a force of almost 500,000 soldiers, Italy invaded Ethiopia, one of Africa’s only independent countries. Oddly enough, this documentary completely ignores another ominous development in Italian fascism — the passage of antisemitic laws, in 1938, which relegated Jews to second-class citizenship. It’s a glaring omission. 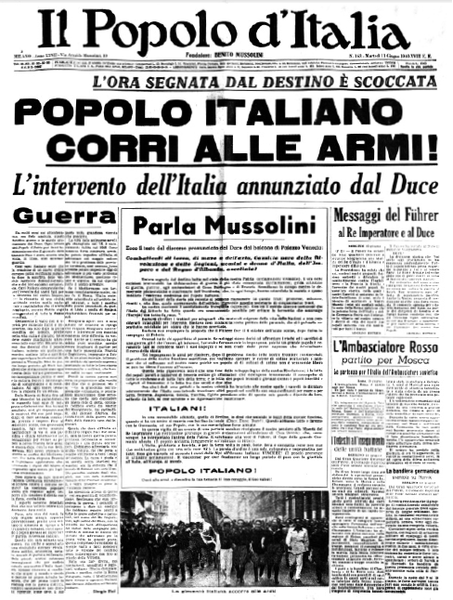 Mussolini’s downfall began in 1940, when he foolishly declared war on Britain and France and launched an invasion of Greece, which inflicted terrible casualties on the Italian armed forces. 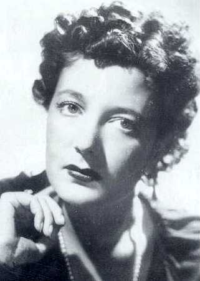 The Italian army also suffered catastrophic defeats in North Africa and Sicily. 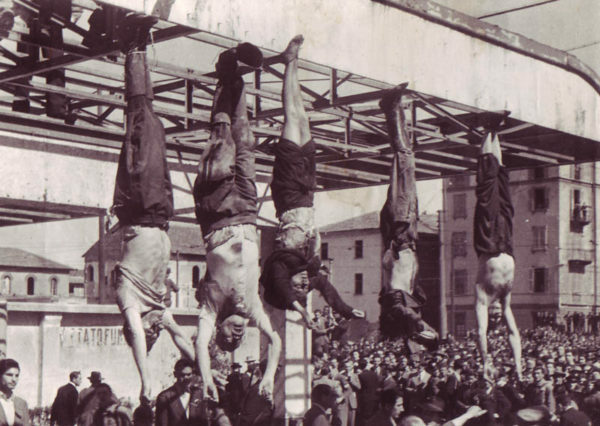 As a result of these setbacks, the Fascist Grand Council, the governing body of the fascist party, stripped Mussolini of his powers and placed him under house arrest. German commandos rescued him without firing a shot, whereupon Hitler installed him as the head of state of the short-lived Salo Republic, which was directly complicit in the Italian Holocaust. Mussolini, along with his mistress Clara Petacci, was captured by Italian partisans near Lake Como in April 1945. Accused of treason, he was summarily executed by a firing squad. His corpse was taken to Milan and strung up at a gasoline station. Petacci and two of Mussolini’s followers met the same ignominious fate. This chilling documentary claims that many of the conditions that gave rise to Mussolini’s ascendancy — economic uncertainty, racism and calls for strong and authoritarian leadership — are disturbingly present in Europe today.